For people who like to think. The eBook edition of The First Untrue Trilogy is available under ; to the extent possible under law, Teel McClanahan III has waived all copyright and related or neighboring rights to The First Untrue Trilogy, (i.e. 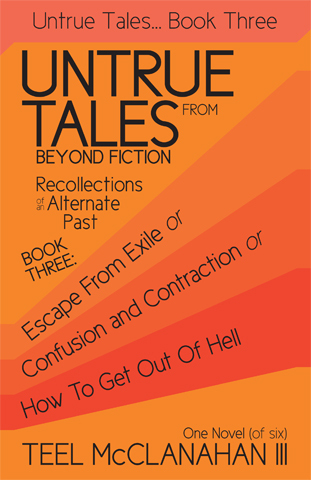 : Book One, Book Two, and Book Three of Untrue Tales From Beyond Fiction – Recollections of an Alternate Past), including the cover image. 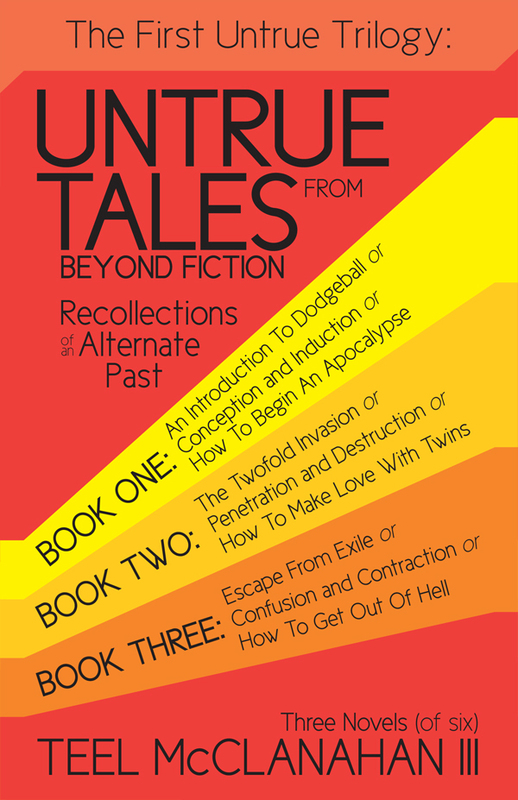 The Audio version of The First Untrue Trilogy was recorded and podcast in 2009 as three individual titles on the Modern Evil Podcast and on Podiobooks.com as Book One, Book Two, and Book Three, in 30 parts (10 per book). The MP3 Audiobook version contains the same basic recordings, but without intro/outro on every file. A teenage boy’s daydreams and fantasies are the key that unlocks a world of magic, psychic communication, and threats he’d never imagined. Discovering he’s accidentally impregnated a classmate he’s never touched sets a chain of events in motion leading from kidnapping to attempted rescue, then literally into Hell. Whether being attacked by the teachers he’s supposed to be able to trust, seduced by beautifully identical sisters with sinister intent, psychicly crippled by sympathetic birth pains, or forced to play a rigged game against the Devil in order to win his friends’ freedom, Trevor’s every move is dictated by the compulsion to find love. Sexual love, brotherly love, parental love, naive love, polyamourous love, self-love, love of learning, love of freedom, and unconditional true love that breaks all boundaries and opens new doors are all part of Trevor’s journey in The First Untrue Trilogy, and he is not the only one whose love plays a part in its unfolding events. 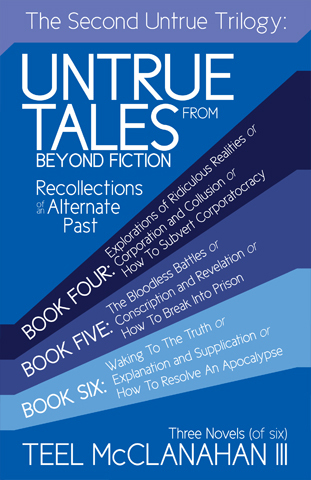 The first half of the Untrue Tales From Beyond Fiction – Recollections of an Alternate Past series is a gradual unfolding of hidden truths, a walk from ignorance to intimacy, with secret societies, afterlife realities, and gender identities. It will set you on a collision course with the second half, in which reality unfolds twice as fast. 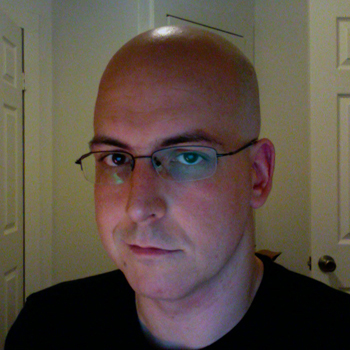 Teel is an independent author, artist, game designer & developer, creative visionary, podcaster, and publisher. Teel denies claims by certain members of the underworld and a particular “pope” in the “Holy Roman Church” that the Trevor character from his Untrue Tales From Beyond Fiction series is modeled after his own adolescence, and goes on to assert that as far as he knows he hasn’t yet put the world in as much danger as his own reproduction would imply or saved mankind from any religious organizations trying to take over the world. The fact that he also refers to the entire series as included in his ongoing attempt to document his life in memoirs is an idea that should not be considered a contradiction of this. Teel has semi-publicly stated that any and all inquiries regarding the management and operations of the underworld should be directed to your deity or deities of choice in triplicate, whereupon the goldenrod copy will go through the appropriate channels and eventually make its way into his hands and/or compost heap. The fact that he acknowledges that the suggestion has been made by certain off-world corporate interests that this book series represents a breach of the terms of his exile should not be considered admission of any guilt on Teel’s part. Teel is happily married to an English teacher and they live together in Phoenix, AZ with a cat which does not appreciate having Teel read his books aloud to it nearly as much as you probably would. While satisfied with never having to shovel the desert’s heat from his driveway, Teel is interested in experiencing more travel in his life—especially of sorts like “through time” and “to other planets,” so feel free to invite him along if you’re going. High school Sophomore Trevor believes he’s got a rich and detailed imagination. When his wandering mind shows him visions of car-size insects, arcane rituals, and odd-looking people talking to other creatures who don’t seem human at all, Trevor doesn’t think it’s any different from his sexual fantasies, or his daydreams about what it would be like to know what the girls from school were really thinking. When an afternoon of such intense mental wandering proves to be a real out-of-body psychic experience, Trevor soon finds himself literally teleported into an unseen world of magic and Mentalism – the science of reading other people’s thoughts and memories he didn’t know he had a natural talent for. Transferred to a school where they teach subjects ranging from the mathematics of magical ethics to the secret histories of the magical world, Trevor tries to fit in to a student body who believes his existence has been foretold by prophecy – and that he might cause the end of the universe as they know it. Some of the students, and even a few of the teachers, are willing to risk lives and their own ethical balance to stop Trevor from fulfilling his potential, while he just wants to get through his first day at a new school. Add the menacing conspiracy of three dark figures -two of whom work at the school- and the fact that Trevor accidentally got a girl pregnant when he thought he’d only been fantasizing about her, plus a P.E. 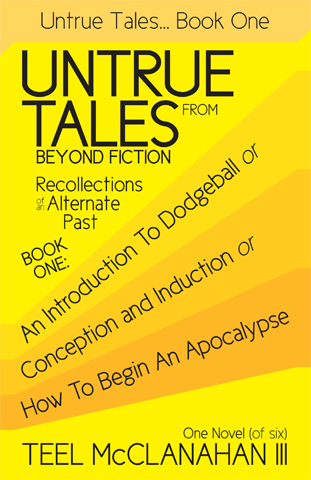 teacher who thrusts him into a game of dodgeball where Trevor has to quickly adapt to avoiding balls of fire, lightning, and worse, and the first book of Untrue Tales gets the series off to a potentially apocalyptic start. Book Two continues the boy’s story from a few months after where Book One leaves off, primarily following his quest to save the life of his unborn child as he finds himself further and further from the life he knew before. Book Three picks up from the same instant that Book Two left off: in Hell. It is primarily concerned with Trevor’s attempts to free his companions from eternal damnation, but has a few twists and turns that will leave you wondering what really happened. All content Copyright © 1999-2017 Teel McClanahan III, except where noted.